Baking Soda is such a versatile and awesome product. I always have it in my house. I buy this 13.5 pound bag about 1-2 times a year and use it for almost all my cleaning!! Check out some of the awesome ways to use baking soda below! Dampen the stove, sprinkle on and wipe down like normal. It scrubs so nicely! A few tablespoons per load does the trick. 1/2 cup per bath is so soothing. Pour in a cup of baking soda, then add a cup of vinegar and watch the fizz work! Mix 3 parts baking soda to 1 part water and scrub away. Add 1/2 cup to a bucket of water and mop floor. Rinse with water. Mix 1/4 cup baking soda in 1 quart warm water and use a sponge to gently wipe surfaces. It cleans off bugs GREAT! Use baking soda to brush your pet's teeth. Leaves them sparkling clean! What are your Baking Soda tips? Leave them below!! My favorite way to use baking soda it in the drains. My boys love watching it work. So many uses I didn't even know about! I love cleaning with more natural ingredients. This is a great list! I love using baking soda to clean m drains and clean my carpets! Thanks for sharing! There were SO MANY here I didn't know about! I love it as a stove cleaner. Thanks for all the other ideas. 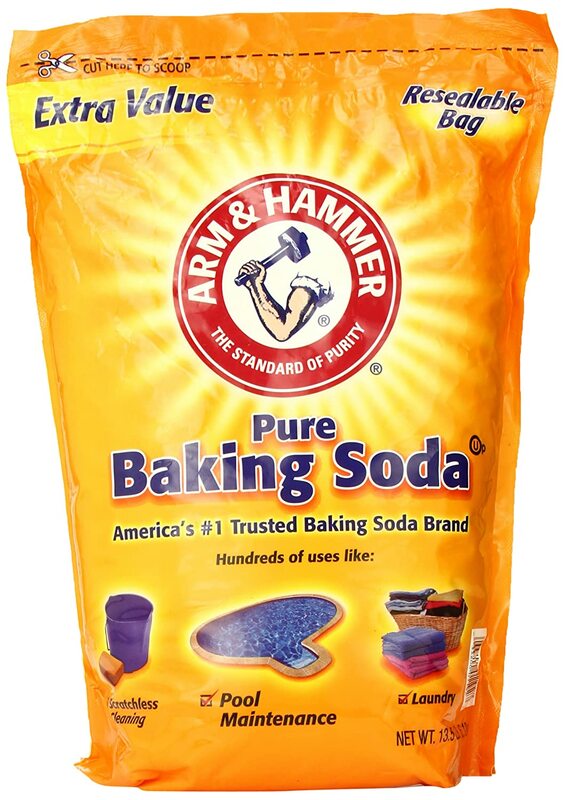 I clean with baking soda all the time--it's the best! I use baking soda whenever I need to scour something-usually my kitchen sink. Thanks for the tips! Clearly I've been missing out. There are several things on this list that I could be using to make my life easier. I will be giving them a try. I love using baking soda. I love it is an all natural way to clean. I am bookmarking all these lists of uses for different items. Thanks! Oooh this is perfect to know for this summer with sunburns approaching with lots of time at the beach, even with sunscreen I have sensitive skin and burn so easily. Thanks for the info! Did not know it had so many uses! I knew about it clearing out odors and for bug bites but now need to stock up for cleaning! Wow! Great information. I had no idea that there were that many uses for baking soda. You gave me so many helpful ideas for baking soda. I love that it's natural! so many uses i did not know about!! i think my favorite tho is using it as a facial scrub - will try it tomorrow! These are incredible! So many uses I was unaware of...thanks!